As you’ve probably noticed, there’s recently been a lot of talk about the Jackson Hole Economic Symposium. And if you’re wondering what this Jackson Hole thing is all about and what to expect from it, then today’s write-up will certainly help you out. 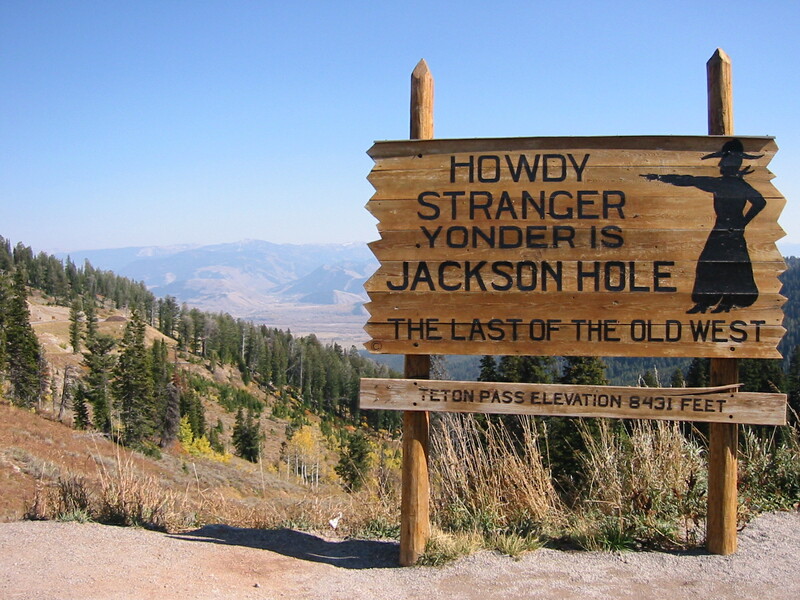 For those who are not U.S. citizens (and U.S. citizens who are geographically challenged), Jackson Hole is a valley in the western State of Wyoming known for the Grand Teton National Park and trout fishing. The Kansas City Fed has been hosting the economic policy symposium since 1978, but its scope was initially focused mostly on agricultural issues. Later, in 1982, the Kansas City Fed had the bright idea of widening the scope of its symposium to larger economic issues and monetary policy. And in order to attract other central bankers, as well as (presumably the best) academics, and then-Fed Chair Paul Volcker in particular (who’s an avid fisherman), the Kansas City Fed had another bright idea, which is to hold its economic policy symposium in the rustic environment of the National Park Service’s Jackson Lake Lodge. And so the Jackson Hole Symposium as we now know it began, although it wasn’t until the early 1990’s that foreign central bankers and finance ministers got invited to the event. Central bank representatives and finance ministers from over 40 countries are invited to attend the event, some of which will be delivering speeches that may give hints on future monetary policy decisions and/or economic outlook. Back in 2005, for example, IMF’s then-chief economist Raghuram Rajan gave a speech warning about the U.S. financial crisis a few years before it actually happened. Also, there’s a lot of media coverage. And sometimes policy makers make off-the-cuff remarks on what they really think about the markets or monetary policy during interviews, which can be a source of market volatility. Moreover, the Jackson Hole Symposium was used by the Fed to signal policy shifts in the past. Former Fed Chair Ben Shalom Bernanke, for example, gave hints about introducing QE2 during the 2010 Jackson Hole Symposium. We now know that the Fed hiked the Fed Funds Rate back in December 2016 and that the rate hike was widely expected. However, during the run-up to the August 2016 Jackson Hole Jamboree, the Fed was sending conflicting signals on whether or not it could deliver on a rate hike. As such, market players were hoping that Yellen would shed some light on the future path of monetary policy. That statement caused a flurry of Greenback buying. However, traders soon realized that Yellen didn’t really give a clear hint on when the next rate hike would be, prompting Greenback bears to charge back in. Fortunately for Greenback bulls, Fed Vice Chair Stanley Fischer was also in Jackson Hole and he was interviewed by CNBC shortly after Yellen’s statement. You see, Fischer is somewhat notorious for being a slippery fish when it comes to answering questions on monetary policy biases. That “until we see the data” bit is typical of Fischer’s evasive ways, but the fact that Fischer acknowledged the possibility of two rate hikes, and a September rate hike in particular (we now know that didn’t happen), was all that Greenback bears needed to hear to say “we surrender” and raise the white flag of defeat as Greenback bulls charged in. The theme of this year’s Jackson Hole Summit is “Fostering a Dynamic Global Economy” but unfortunately, the full program for the event won’t be released until 12:00 pm GMT, August 24. However, we know that Fed Chair Yellen will be speaking about “Financial Stability” this year and that’s she’s tentatively scheduled to deliver her speech on Friday (August 25, 4:00 pm GMT). Meanwhile, the ECB has confirmed that Draghi will be speaking, also on Friday (August 25, 7:00 pm GMT), although the topic of Draghi’s speech hasn’t been revealed yet. And while BOJ Governor Kuroda’s attendance hasn’t been confirmed yet, he has attended every Jackson Hole Huddle since he became the BOJ’s top central banker, so chances are good that he will be joining this year’s meet as well. As for BOE Governor Carney, we know that he was invited but he opted out. In his stead, BOE Deputy Governor Ben Broadbent will be joining the Jackson Hole Assembly as the BOE representative. No clues as to whether or not Broadbent will be speaking, though. Anyhow, you can get the program for this years’s Jackson Hole Meet here when it’s finally published tomorrow. As to whom the spotlight would be on this year, that would likely be either Yellen or Draghi (likely both). And the string that links the two top central bankers together is inflation. Even if Draghi won’t talk directly about monetary policy, market players would still be on the lookout for indirect clues. And the biggest clue of them all would be Draghi’s stance on inflation. As such, optimistic hints about inflation would likely be seen as reinforcing tightening expectations, which should be euro bullish. On the flip side, a downbeat assessment and/or outlook on inflation would be pessimistic news for the euro. Given this year’s theme and the negative effect of a strong euro on export-oriented companies and inflation, it’s likely that Draghi would be addressing that particular issue in his speech. And traders would likely be on the lookout for that. As for Yellen, market players want and expect her to talk about inflation and to give hints on whether the Fed can still deliver one more hike this year. After all, the latest FOMC minutes revealed that the Fed devoted a large chunk of their discussions with the disappointing revelations that Fed officials were split on their inflation outlook and the future path of rate hikes.